The flow is the first time they are on the site all jobs are listed but a form comes up stating if they would be interested in getting results in what they are interested in. As the user enters the tag name it would be set in the enter tags text box. 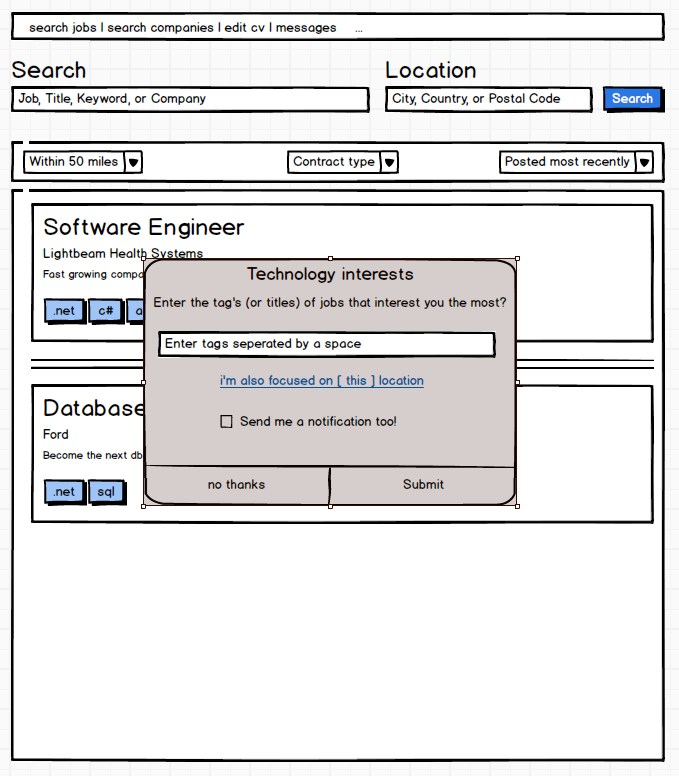 They could also check the checkbox to send a notification if new jobs are posted for those technologies. 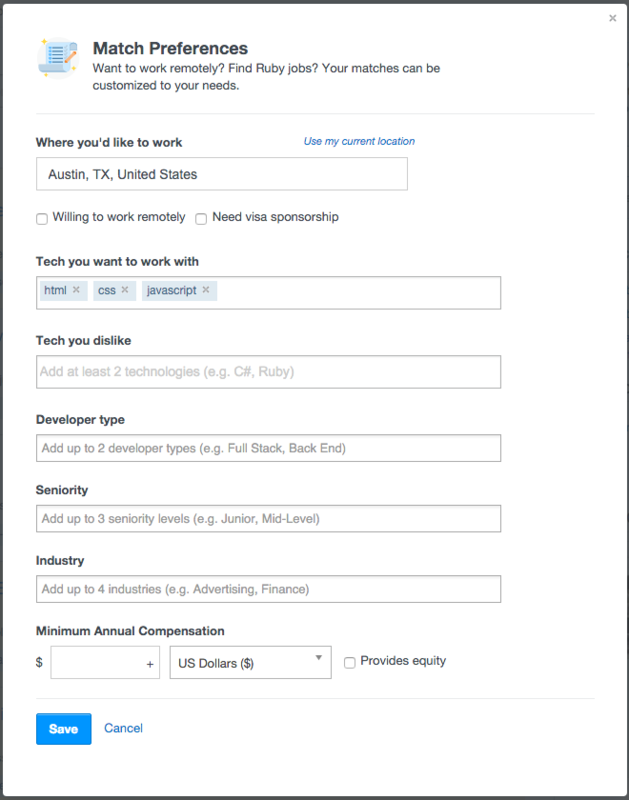 The hyperlink (Im also focused on [this] location) could be such that the person is looking for jobs in a certain area, this could default to your current location or is simply optional (maybe make this a checkbox instead). Either way this would help target the correct jobs to the candidate's main interest. I don't know about you but I have 0 interest in PHP. Good news! Something very similar to your suggestion is already on our roadmap. For new users, we'll do more to prompt them (and then of course get our of their faces once they answer or skip). Allows you to update your liked tags (for job search purposes), dislikes, and add a few other things. Currently if you have a CV the liked and disliked tags there inform that matching algorithm. The proposal will be the same data, but presented in a different context. Does the Stack Overflow selection of job offerings work as intended? As an employer, how can I see a candidate's SO profile from applying through careers?